Welcome to Day 31 of Trainwreck’d Society’s Month of Horror Showcase. Every day during the month of October, we will have a horror related interview and/or film review for your fright-filled reading pleasure! The set up will be the same as usual, but the topics will be far more terrifying. Enjoy! Well folks, we did it! This is the last day of Trainwreck’d Society’s Month of Horror showcase. It has been quite a ride this year, and by my calculations, we only missed one day! But, in the 30 days we did have articles go live, we managed to bring you some damn fine showcases thanks to the amazing people and films that we were so excited to share with you. We touched on different horror universes from minds like Roger Corman and Steve Sessions, to Troma Pictures and our beloved Halloween franchise. And so much more! And of course, we couldn’t disappoint on the big day! 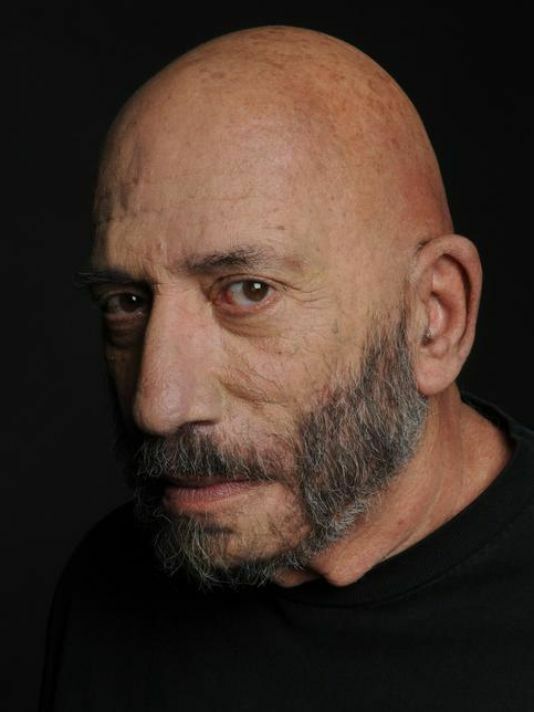 For our highlight of the series, we have a few brief words from one of the most iconic figures of the cult world of horror, the legendary Sid Haig! Modern day and more mainstream focused horror fans will instantly recognize him as the great Captain Spaulding from Rob Zombie’s truly fascinating films House of A 1,000 Corpses and The Devil’s Rejects. The more die-hard fans will recognize him from the abundance of horror films he has worked on since Corpses was brought to the world. And die hard cinephiles out there are going to know him for his work in the world of exploitation and art house cinema dating back well into the 1960’s. Yes, Sid Haig is damned legend to say the very least, and it is a true honor to have him wrap everything up for us here at Trainwreck’d Society during our Month of Horror showcase. It was an honor to have his words here with us today, and it has been an honor to bring you all these fine posts. We are back to reality starting tomorrow (which can be frightening in its own way, really), but for now, please enjoy some great words form the legendary Sid Haig! When did you first discover that you wanted to act as a profession? What initially drew you into the world of acting? I knew the moment I stepped inside the Pasadena Playhouse, which was the Theater Arts College where I studied harder than I had ever studied before. What was it like working in the world of blaxplotation films in the 70’? And what do you believe is the major impacts of this world of film has had on American cinema today? That was a very exciting time to be involved in film. It opened so many doors for people whom until that time had very little chance of working at all. I can remember that there were very few black stunt men or women. Bob Miner, who was the stunt coordinator on Coffy had to find some athletes who wanted to work in film, and he taught them how to do the stunts. I read somewhere that you were considered to play Marsellus Wallace in Pulp Fiction, and would eventually have parts written for you in Jackie Brown and Kill Bill Vol. 2. Where did this brilliant connection with you and Quentin come from? Did he proclaim his fandom to you? I wouldn’t say he made any proclamation, however he did say he had always enjoyed my work. Which is always nice to hear. Your involvement in the truly innovative world of new age horror films created by Rob Zombie has been the stuff that dreams are made of for horror fans. For you personally, what made you decide that you wanted to tackle that first role in House of A 1000 Corpses? And what has had you coming back to this world over the years? I thought I could have so much fun with that role it was a no brainer. A good story will always keep me coming back. What is it about the horror genre specifically that makes you enjoy working within it so often? It’s just fun making people dig deep and find their fears, and then overcome them. Cujo. Just think about a 200 lb. dog trying to eat your car while you’re in it. Nothing special, just taking whatever comes along. Anything you’d like to plug to our readers? Look for the film High On the Hog, which is in the final stages of development. 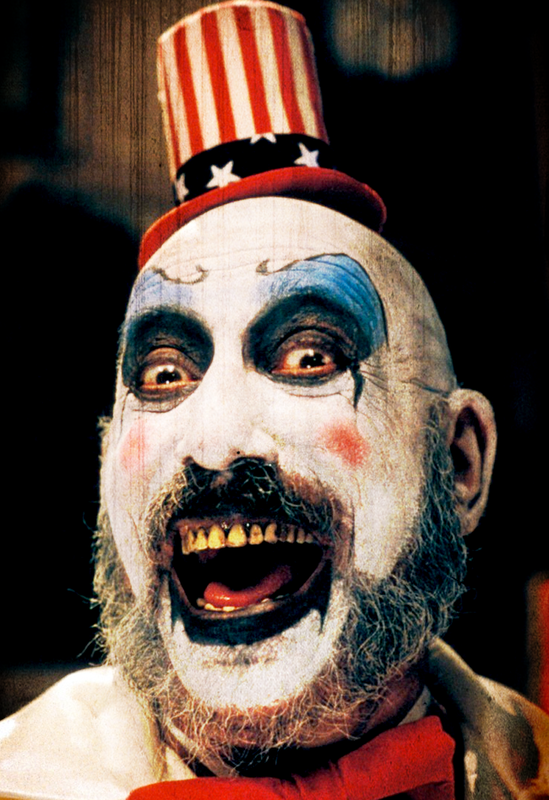 Also, just aired the National Geographic documentary Clowns In Pop Culture, featuring Sid Haig with Captain Spaulding! [As well as] Many other film projects in various stages of development, so stay tuned! What was the most recent thing that made you smile? The excitement of little kids at conventions.